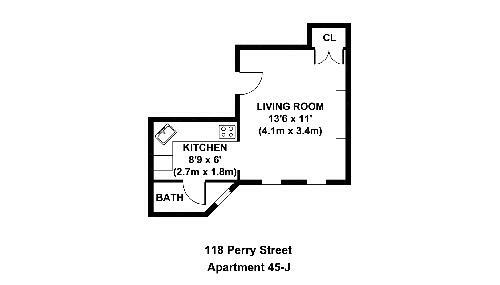 In response to JLP's query, here's something you can get for $300k (plus $500 monthly maintenance cost) in a great location in Manhattan's West Village. You won't have much space... and there is room for doubt as to the bathroom facilities! Doesn't look like there is even room for a toilet and a shower stall to co-exist! Do you know much would it cost to rent a place like this in the same location? I'm not really sure, but I would guess maybe around $1800? It's tiny but so is most everything else in that area... I know people who live in larger studios uptown in full service buildings who pay around $2,500, but I'm not up to date on rents in the Village. Any other New Yorkers have an opinion? minimum $1900, plus broker fee. As an aside, the west village is so 80s. "So 80's"-- that's funny, it is pretty true. There are some nice blocks but I wouldn't want to live that close to where all the drunk college kids seem to be partying. Guess that also rules out a lot of the East Village, Upper East Side, Williamsburg... from what I hear anyway. yeah seriously.. real estate price in NYC makes everything else in the country a joke. 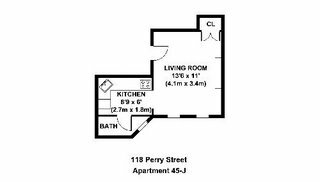 2) There is more square footage in a roll of toilet paper than in that condo!